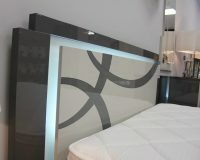 Original & Innovative Italian Bedroom Furniture! Italian design, together with the latest fashionable materials brought together to create a stunning, affordable bedroom collection. Long-lasting furniture at a fabulous price! 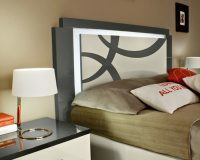 The headboard incorporates neon lights.